We value our role as your trusted partner who knows our business and deeply respects yours. We’ll help you manage the details so you are positioned for financial success. Life happens between tax days from one year to the next. Our goal is to minimize your personal and business tax liability through effective coaching and strategy all year round. 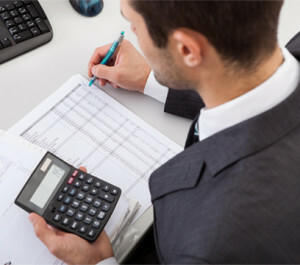 Our tax planning, preparation, and reporting service is unparalleled. Every business needs a strategic partner who’s got your back. At Nichols & Company, our advisors can work with you to optimize your business structure, growth and expansion planning, benchmarking and management reporting, and collections processes. The complexity of individual personal finances extends well beyond annual tax preparation, so our service does, too. We can assist with wealth planning and investment advisory, contract and document review, tax efficiency, and personal risk management. You work hard for your money and we help make sure your money works hard for you by incorporating advisory services like financial consulting, estate planning, and budgeting so that you have fewer surprises and maximum flexibility. Value is more than just dollars and cents. We help drive profitability for our business clients with management and back-office support like cash flow analysis, compensation planning, bookkeeping and payroll advisory, and QuickBooks® training and support. Rest assured because we’ve got you covered with reliable representation and advisory for all of life’s financial goals and necessities, including IRS, state and city audits, business succession planning, retirement planning, and trust fund planning.